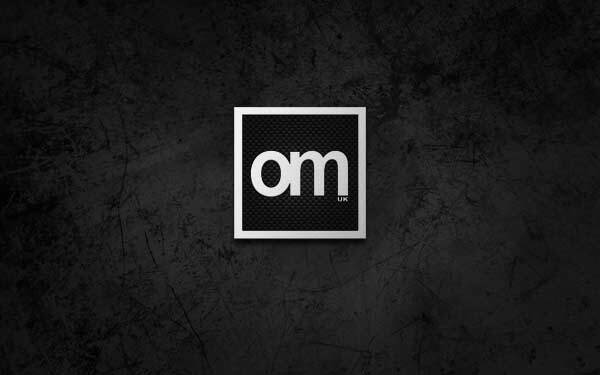 Our website address is: http://omuk.com. If and when you log in, we will also set up several cookies to save your login information and your screen display choices. Login cookies last for two days, and screen options cookies last for a year. If you select “Remember Me”, your login will persist for two weeks. If you log out of your account, the login cookies will be removed. We use google analytics but only use general statistics we do not keep or share any personal data. If you have an account on this site, which no-one can, or have left comments, which you can’t, you can request to receive an exported file of the personal data we hold about you, which is nothing. You can can request, and we will comply, that we erase any personal data we hold about you. This does not include any data we are obliged to keep for administrative, legal, or security purposes. We understand our obligations in regards to your fundamental right to a private life and we have implemented systems and controls to ensure your rights and freedoms are protected. Outsource Media Ltd undertakes to meet its obligations under the Data Protection Act, the Privacy and Electronic Communications Regulations and the EU General Data Protection Regulation (GDPR). WHO WILL PROCESS YOUR PERSONAL INFORMATION? Your personal information will be processed and may be kept by Outsource Media Ltd. Your personal data may be further used by Vault 501 our sister studio in the United States of America. All parties will process your personal data in accordance with this privacy notice. WHY IS YOUR PERSONAL INFORMATION REQUIRED? Your personal information is required to enable us to take necessary steps at your request prior to entering into a contract and to perform such a contract. Will will use this data to keep in contact and discuss relevant business and projects. WHAT HAPPENS IF WE WANT TO PROCESS YOUR INFORMATION FOR OTHER REASONS? Though there are some legal exceptions, if we wish to process your personal data for any other unrelated purpose than those we have informed you about we will notify you. KEEPING YOUR INFORMATION UP TO DATE We will record your information exactly as you provide it. You may ask us to update it at any time and we will action your request promptly and where possible notify relevant third parties of any changes. WHAT ABOUT SENSITIVE PERSONAL DATA? We do not ask for or store any sensitive personal data on our clients, only data that is relevant to conducting business and contracts we have committed to. To contact you regarding business and projects between our companies. WHAT INFORMATION IS REQUIRED? We only collect information that is necessary to carry out the purposes listed above. This is typically basic contact information (name, email and phone). We may also store examples of an actor’s performance for casting purposes. HOW SECURE WILL YOUR DATA BE? We will ensure that your data is only accessible to authorised people in our company and will remain confidential at all times. Appropriate security measures will be in place to prevent unauthorised access, alteration, disclosure, loss, damage or destruction of your information. If we have a contract with another organisation to provide us with services or a service on our behalf to process your personal information, we’ll make sure they give reassurances regarding appropriate security measures in place and only process your information in the way we’ve authorised them to. These organisations won’t be entitled to use your personal information for their own purposes. TRANSFERRING DATA OUTSIDE THE EUROPEAN UNION We will be sharing any client data necessary with our sister studio located in the United States of America. This will be in compliance with the rules and regulations outlined in this document and for the purpose of business development and continuity across the studios. HOW LONG WILL WE KEEP YOUR INFORMATION FOR? Outsource Media limited lays down rules relating to how long information should be held for and we will keep your information to meet these requirements. We will not keep your information for longer than is necessary. We aim to keep our records updated annually and securely delete redundant records from our systems. REQUESTING A COPY OF THE INFORMATION WE HOLD You may at any time ask for a copy of the information we hold about you – it is your legal right. We will provide you with a copy of any non-exempt personal information within one month unless we ask you for an extension of time. To protect your personal data, we will ask you to verify your identity before we release any information. We may refuse your request if we are unable to confirm your identity. IMPORTANT RIGHTS You have the right, on grounds relating to your situation, at any time to object to processing which is carried out as part of our legitimate interests or in the performance of a task carried out in the public interest. We will no longer process your data unless we can demonstrate there are compelling legitimate grounds which override your rights and freedoms or unless processing is necessary for the establishment, exercise or defence of legal claims.